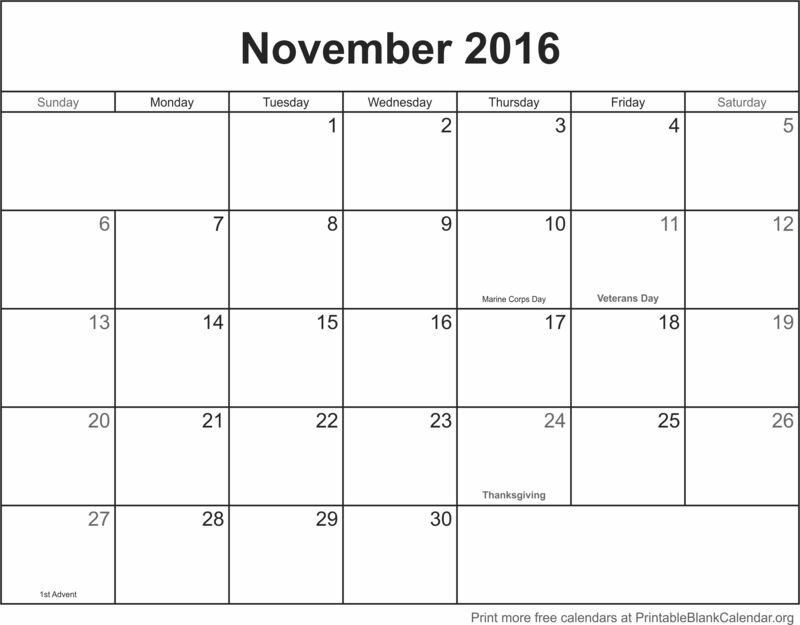 Plan your Turkey day and more with your free November 2016 printable calendars. These blank calendar templates are quick and easy to use. Just click on your favorite design to arrive at the page with the full-sized image. Then you can print directly from your browser or save for later. Don’t forget to forward this page to your friends. Looking forward to the new year? Our new 2017 annual calendars are also available now (check the menu on the left) 2017 monthly calendars being created. Stay tuned!